← Put Out the Fire and Protect the Customer. It’s a bitter pill to swallow, but even though buying a new car is one of the most expensive purchases you can make, you’ll probably never make your money back on your investment. Thousands of different cars have been built over the past century. But the sad truth is this: Most of them just aren’t worth holding onto. So imagine telling truck buyers between, say, 1946 and 1973 that their trucks would increase in value by over 1,000%. Living in the era where new luxury trucks sell for close to $70,000, it’s easy to forget that for decades, pickups were cheap, rudimentary, tough-as-nails vehicles. They needed to do just two things: start every day and haul a bunch of stuff. Anything else was considered unnecessary. But like their car counterparts, there’s an undeniable charm to a classic pickup, and it hasn’t taken long for collectors to pick favorites. After tracking classic truck sales, Black Book has found 11 Cinderella stories from truck history. These are the 11 trucks that are worth more than anyone could’ve imagined when they were new. 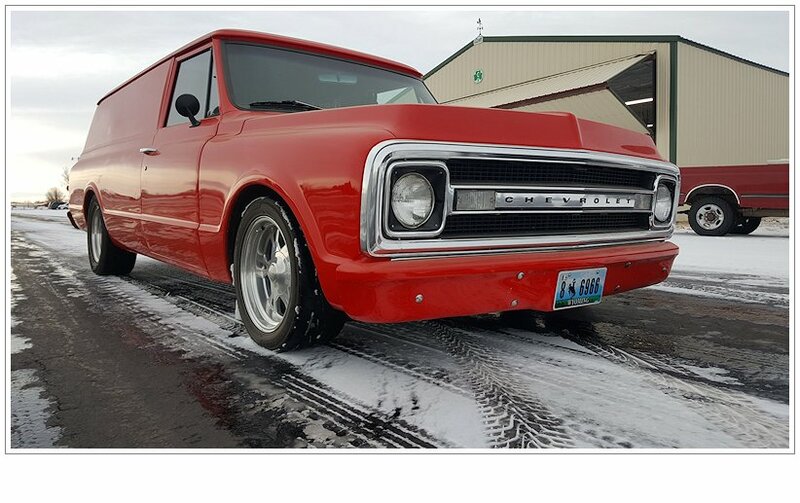 The second-generation F-Series has been prized by collectors and hot-rodders alike for decades. But in its final year, 1956, a number of one-year-only changes make it the prize of the bunch. Back 61 years ago, you could buy one of these workhorses for $1,611. Today, a restored version is worth around $65,000, a 4,034% increase in value. Next: One of the most iconic trucks ever is a favorite among collectors. When it comes to vintage American tough-as-nails trucks, the answer is always the Dodge Power Wagon. Incredibly, this truck with its roots in WWII remained in production mostly unchanged until the late 1970s. But the early trucks from 1946 to 1956 are the ones collectors seek out the most. In the early ’50s, you could buy a Power Wagon for $1,627. Today, immaculately restored models are worth up to $65,000, a 3,995% increase in value over the past 60 years. Next: This truck has been consistently popular for 70 years. Chevy’s “Advance Design” trucks were some of GM’s first new models after World War II, and unsurprisingly they made quite a splash. These popular trucks remained in production from 1947 to 1955, and their combination of good looks and bulletproof reliability kept plenty of them on the road for decades. There are plenty of project-level Chevys out there, but today an immaculate Advance Design can fetch $55,000. That’s a nice 3,909% return on a $1,407 investment. Next: You might have never heard of it, but collectors can’t get enough of them. One of the most iconic independent companies in automotive history, Hudson is best known for its rakish late ’40s cars and their NASCAR success. 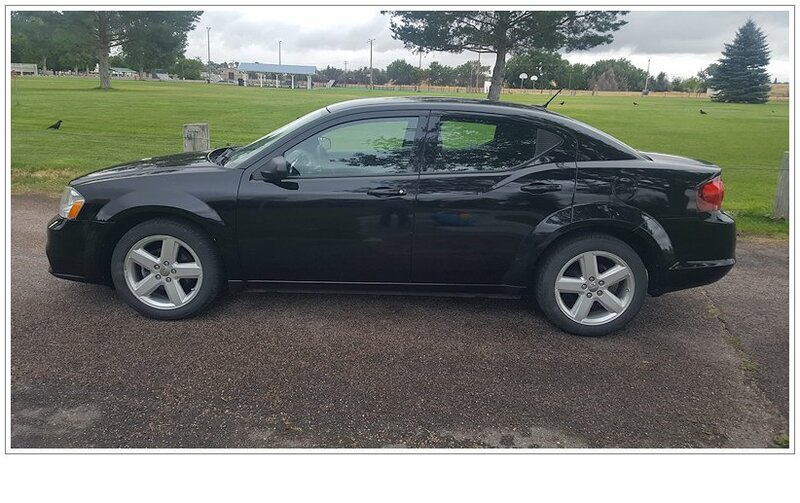 But for just two model years, it offered an attractive car-based pickup that has had a cult following almost since it rolled out of the factory. Back then, you could take a Hudson pickup home for $1,154. Today, they’re worth an average $45,000, or a 3,899% increase in value. Well, except for this example — it was sold by Mecum for $52,000 in May 2017. Next: Collectors love these nearly forgotten trucks. Today, Studebaker is better known for its uniquely styled cars than its pickups. But in the years surrounding World War II, it built some seriously simple, reliable workhorses, too. Launched in the late 1930s, the M-Series blended near-deco styling with a reliable inline-six engine. Carried over into the immediate postwar years, the final M-Series trucks are the most collectible. A $1,107 truck in the 1940s has increased in value 3,387%. Today, immaculate versions can fetch up to $37,500. There are still bargains to be had, though. This driver-quality ’46 was sold by Barrett-Jackson in 2012 for $13,200. Next: This truck was shockingly advanced for its day. Ever since its debut in 1955, the Chevy Cameo Carrier was something special. With its combination of convenience features usually reserved for cars, a stylized fiberglass fenders, and Chevy’s then-new 283-cubic-inch V8 (the same engine found in the Corvette and Bel Air), the Cameo could arguably be called the world’s first sport truck. At $1,981, it wasn’t cheap when it was new. But if you kept it in near-mint condition after all these years, you could see a 3,028% return on your investment. Today, mint Cameos can fetch up to $60,000. Next: Dodge’s Cameo rival gets its due. Following Chevy’s lead, Dodge took its odd-looking C-Series pickups and introduced an upscale model for 1957. Featuring car-like tail fins and an available Hemi engine, the Sweptside was never popular, but its unique styling and car-like amenities has made it a favorite among collectors. A new one would’ve set you back $2,124 back in the ’50s. Today, clean ones trade hands for up to $60,000, a 2,824% increase in value. Next: This off-roading icon is worth a fortune off the trails. Built from 1960 to 1984 (and until 2001 in Brazil), the J40 Land Cruiser was Toyota’s answer to the Jeep and Land Rover. With a dedicated cult following and seemingly endless ways to modify the trucks, these simple workhorses have become some of the most sought after collectables in the world recent years. Collectors are specifically fond of clean, early trucks. Selling for $3,164 in the 1960s, restored Land Cruisers can fetch upward of $75,000 today. That’s a 2,370% increase in value. Next: Chevy’s handsome truck is worth a pretty penny. Truly classic yet modern enough to not feel like an antique, Chevy’s 1967 to ’72 “Action Line” trucks have always had a strong following among collectors. But it’s the later trucks that are the most sought after, including the rugged but luxurious Cheyenne. You could take home one of the trucks for $2,473 back in the early ’70s. Today, immaculate examples can fetch up to $45,000, a 1,819% increase in value. Next: This early SUV is one of the hottest collector cars in the world right now. If there’s any truck that can keep pace with the meteoric rise of the Toyota Land Cruiser in collector circles, it’s the first-generation Ford Bronco. A long-time favorite with off-roaders, original, unmodified trucks are increasingly hard to come by. That means a $2,834 SUV has become a $50,000-plus collectible on the vintage car market. That’s a 1,764% increase in value. Next: Chevy’s Bronco rival finally gets its due. The spartan Chevy Blazer debuted in 1969 wearing some of the same handsome sheet metal as the “Action Line” trucks. Although it’s long been overshadowed by the more popular Bronco, the first-generation Blazer is finally starting to get its due. That means this formerly $2,852 SUV is now worth around $45,000. That’s a 1,577%increase in value.